The zodiac is a mystery for most people, it is a forgotten science about the energies around us. However, ancient civilizations held this spiritual science on one of the highest pedestals and they looked at it as something sacred. We are all born on a certain imprint of this mysterious energy that surrounds us and animates us. Somehow, ancients understood this phenomenon better than us. Knowing how your imprint behaves can give you an unfathomable knowledge about your own deeper self and your purpose in life. Every zodiac: the regular we all know; the Chinese; the Mayan; is just a look at this imprint from a different angle and focus. 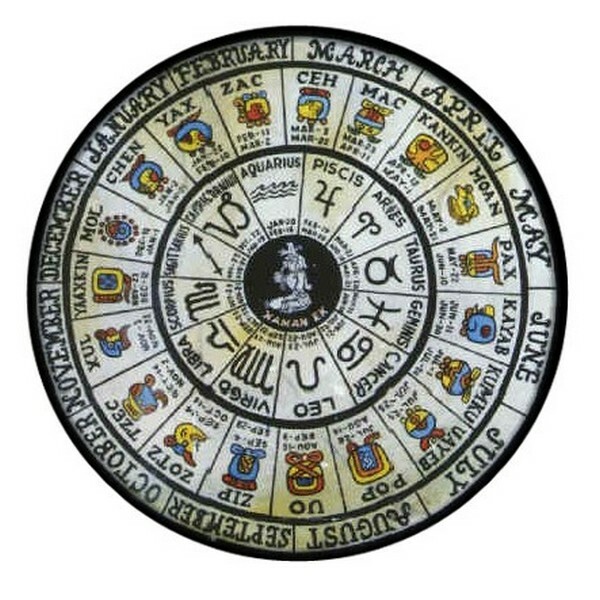 The Mayan Zodiac is known for being the most focused, targeted and specific one from them all because it separates the energies in 19 archetypes instead of the famous 12. The Mayan Zodiac can give you the best insight of your soul’s characteristics. Those born in this sign are people of the night. The hours past dusk and before the first light are power times for you. Tap into this time of quiet energy to develop yourself fully. You have a natural affinity for moon energies. Consider wearing moonstone to increase your connection with lunar energies. Your cardinal direction is the West and facing Westward during meditation can be very beneficial for you. Those born in this sign have an affinity for those born in the Yaxk’in sign. Venus is your ruling planet and by nature you are gentle and loving. Tap into your peace-keeping abilities to bring harmony to those around you. It is a great gift to be a peace-keeper in these times and you can do much good in the world. Your cardinal direction is the South. Those born in this sign have an affinity for the day hours. Early morning is a power time for you. Make sure to allow time for reflection in the early hours of the day because great wisdom can come to you during this time. Your cardinal direction is the north. The frog is a power animal for you. The meaning of frog is their adaptability and comfort with change. Frogs can make a quick and effortless jump from one stage of consciousness to the next. Embrace the changes that come into your life. Your power is in change. Those born in this sign have an affinity for nature and natural balance. You can help restore natural order to our planet by your example. You have the energy of fire and red is a power color for you. Embrace this powerful force and let your fiery nature be known. Meditation in forests will help you develop your natural power. Your cardinal direction is east and your totem animal is the gentle, noble “people” of the woods… deer. 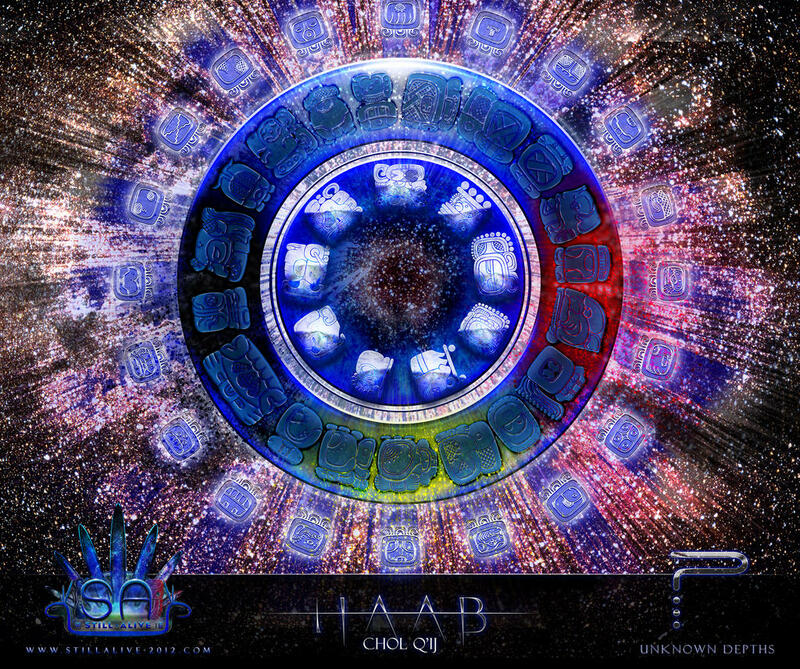 Those born in this sign are under one of the largest mysteries of the Mayan astrology signs. The meaning for your sign is less clearly defined than for any other. Mak is a mystery and that makes you a mystery as well. You do best when you keep some of yourself back from others. The words describing your sign are cover and enclosed, once again referring to something that is “under cover” or hidden away. Like the bear, spend time in reflection and meditation. If you allow yourself this personal time away from others you can discover the mysteries of existence. Your power number is 3, which has numerous references in symbolism throughout time. 3 is considered the number of divinity, balance and completion. Those born in this sign are people of the earth and the sun. You have an affinity for both the planet beneath your foot and for the strong solar energies of the sun. Spend time under the solar rays meditating for there is wisdom for you. Spend time as well in and on the earth. If possible, meditate in a cave, or at least visit a cave and experience the calm tranquility of being in the womb of the earth mother. Your totem animal is the dog, specifically the yellow dog. Dogs are well known for their loyalty, but a less known meaning of this animal totem is their incredible inner strength. Those born in this sign have an affinity for fire and water. Embrace these two elements. Especially during thunderstorms when both fire and water are present in the forms of rain and lightning. Storms are power times for you. Your animal totem is the Owl, also known by Mayans as the moan bird. Owls have the ability of vision. They are seers who can detect the truth around them. You are the wise bird sitting on a tree observing the world through any form of illusion, safe from any harm even in the scariest of storms. The storms empower you. Some of the wisest people are born between these dates. Those born in this sign have the animal totem Jaguar. Jaguars were very important to Mayan culture. They represent leadership. Your personal strength is as a leader of people. Embrace this strength. You also have the straight-forward nature of an arrow and the steady strength of a drumbeat. Use the drum in your life. It will bring you stability and balance. Your element is steam, a mix between earth, water, and fire. Steam rises from the earth through heat. Combine these three elements together in your life. Those born in this sign have a natural affinity for the moon and spiritual endeavors. You most likely find yourself searching for the deeper meaning in everyday occurrences. The turtle is your animal totem. Turtles have deep significance as the carriers of ancient wisdoms and the carriers of the earth. Those born in this sign have a dualistic nature. Most likely you are often seeing opposite perspectives clearly and honoring the wisdom that both perspectives offer. Your animal totem is the crocodile. Crocodiles have the gift of survival, timing and patience. Crocodiles are one of only a few reptile species that survived past the Mesozoic period when most reptiles and dinosaurs went extinct. Tap into the power of longevity and stability. You do not embrace change, and yet change occurs all around you without affecting you. This is a tremendous gift. Those born in this sign are the anomaly in the Mayan astrology signs. The Wayeb span of time is only 5 days out of the year, in contrast to the 20 day span that all of the other Mayan zodiac symbols have. During the Wayeb days, ancient Mayans felt the natural balance was affected. It was a time when other forces came into play, similar to the pagan concept of Samhain when ghosts walk the earth. Being born in this sign does not mean you are unlucky though. It means you likely have a strong connection to the other worlds and other realms. Embrace this. You have an affinity for extra-sensory perception, esp, and walk between this world and the next. Those born in this sign are leaders. Both Jaguar and Chief refer to positions of power in ancient Maya. You can bring clear vision and direction to those around you while remaining sensitive to their needs. Your gift is at the forefront guiding others around you. You have an affinity for the earth and doing grounding meditations will enhance your gifts. Those born in this sign share similarities with those born in Che’n and Sac signs. Similar to Che’n you can gain much wisdom from the hours after dusk and before the first rays of sun. As with the Sac sign, you share the frog animal totem. Through frog you can easily shift from one level of consciousness to the other. You are likely a mystical person who searches for hidden wisdoms and mysteries. Those born in this sign have a strong affinity for the element of fire and air. Your power animal is the deer, more specifically the stag. The deer is a symbol of grace and connection with the forest. The staf is the noble leader of these forest people. Never underestimate what a walk among Nature can accomplish, that’s the secret to your power. Embrace the energies of grace and nobleness in your life. Red is your power color. Those born in this sign have two animal totems the bat and the fish. Interestingly one has the ability to move freely through the air and the other through water. Air and water are your elements. The bat is known for it’s association with the earth mother. It’s natural state is to return to the womb of the earth mother every day for rest. Bats are highly sensitive creatures and your strengths from them are intuition, sensitivity, and the ability to see through illusion. The fish represents the subconscious and depth. Your fish totem combines with your bat totem to provide you with a deep intuition that is not available to most people. Those born in this sign are very specifically associated with two elements: earth and sky (wind, air). You most likely have a fascination with the sky and are interested in all things from above. Air is the element of mental energies and earth is the element of practicality. Between these two you have the gift of examining any situation and discovering the most effective solution. This is a great gift and you can assist the world through your grounded perceptions. Those born in this sign are closely associated with the animal totem dog. The dog was an important animal to the Mayans, who believed that dogs guided people to the next life after they passed from this one. As a result, people born in this sign have the traditional animal totem traits of dog; loyalty, strength, dedication. They also have a strong connection to the next life, and can help those around them release fears of death and passing. Those born in this sign have a connection with the Mayan Sun God Ah Kin. He provided protection against darkness, drought and disease. Those born in this sign are natural healers. You may find you have an affinity for healing those around you, whether with soothing words or as a healing practitioner. This sign also has one downfall which is doubt. Ah Kin was known as the bringer of doubt and indecision. Learn to trust in your decisions and the decisions of those around you. Those born in this sign are associated with the cardinal element of water. They are said to be able to “make the rains come”. Pay close attention to how weather patterns make you feel, for your power times are associated with water and rainfall. Your animal totem is the Jaguar. The Jaguar was a power animal for the Mayans, and represented the mysteries of the shamans and the strength of leaders. You have an affinity for both these roles and your life can take you on the path of a spiritual leader.